Sooner or later, life on Earth will be all but wiped out by a gigantic asteroid from outer space, say a group of scientists. A group of scientists claim that is absolutely certain the Earth will be hit by a mega asteroid at some point in the future, which will potentially wipe out all life, or at least most of it. The B612 Foundation, an organization that is composed of astronomers and scientists, is trying to raise awareness of the threat that asteroids pose to Earth and to the existence of humanity, and they are simultaneously pushing for greater effort into developing countermeasures. That does not mean we are in imminent danger of an asteroid hitting us. It could be millions or at least hundreds of thousands of years from now, but the truth it is we have absolutely no idea when an asteroid will take aim at our planet, and we are frightfully unprepared when that does happen. Numerous asteroid strikes throughout world history have threatened to end all life, and it is not question of if but when they next one will hit. As a result, NASA and other agencies around the world are working hard at being better able to detect these deadly space rocks before they get too close. 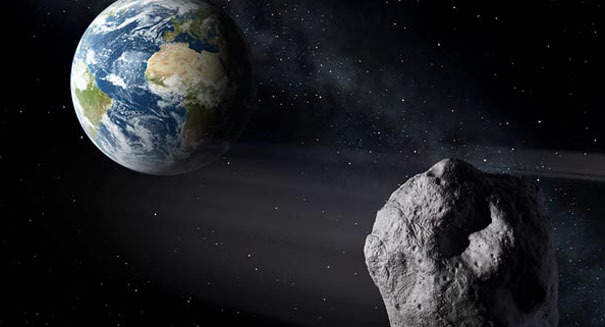 But the other side of the coin is to identify ways to prevent the asteroid from striking, as all the advance notice in the world will not save us if we do not have countermeasures. The B612 Foundation is working on a “gravity tractor” that would involve tugging the asteroid into a different trajectory.